Sesderma Azelac Moisturizing Gel combines the properties of azelaic acid and moisturizing action of glycine. It has a calming and anti-radical action , fights redness and impurities that accompanies couperosis. Sebumregulator action, decreasing the secretion of sebum and eliminating pimples. Inhibits the synthesis of tyrosine, homogenizing the skin color. It also has anti-aging and anti-wrinkle properties. Increases skin hydration and elasticity. The phytosphingosine natural skin lipid and part in the constitution of most of the ceramides. It has a natural action that reduces irritation. The Silybum marianum has a calming, soothing and antioxidant effect, camouflaging the redness of the skin prone to couperosis. Apply to the face and neck by gently massaging with fingertips until completely absorbed. You can use it as a makeup primer. 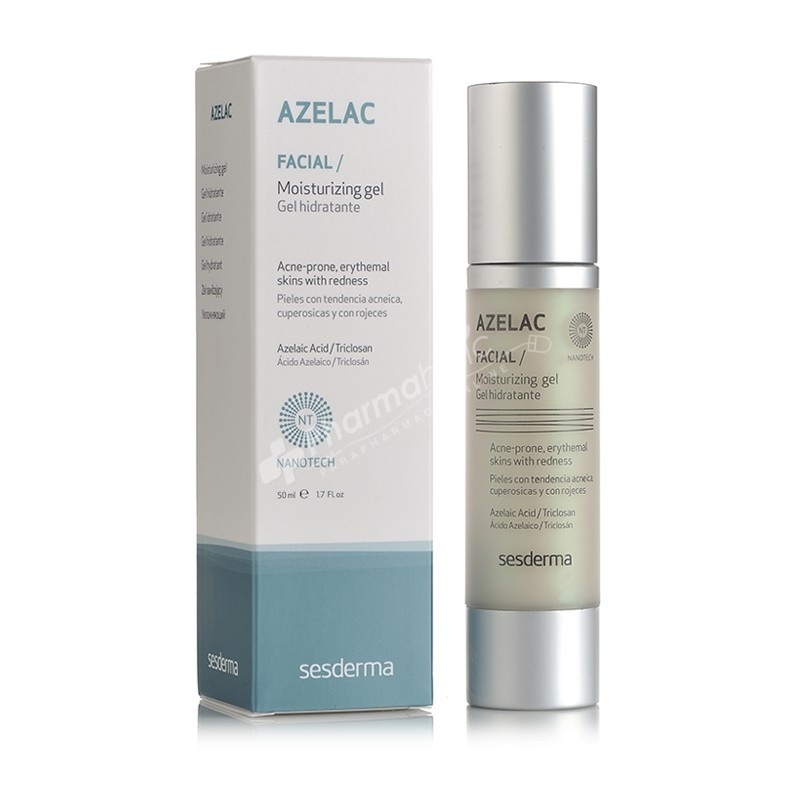 It is recommended to apply Azelac Hydrating Gel once or twice a day.